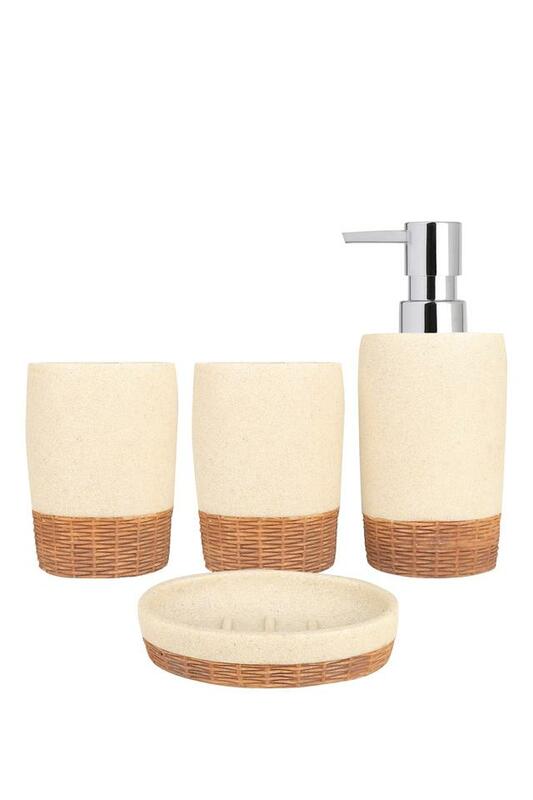 Modernise your bathroom decor by opting for this bathroom set that flaunts a unique design. Made from a premium quality material, it is durable and sturdy while boasting a good finish. This set includes a soap dispenser, a toothbrush holder, a tumbler and a soap dish that makes it a pragmatic option. Opt for this bath set from the house of Freelance for enhancing the look of your bathroom interiors.